The Indian travel market is projected to grow to $48B by 2020, just the hotel sector is projected to grow to $13Bn by 2020, with budget and midscale hotels making 52% of the market. This growth is driven mostly by domestic demand. Refer this BCG study, Demystifying the Indian Online Traveller. This growth will have a favourable impact on the online hotel booking industry, as along with the increase in demand, more and more people are searching online for hotels before planning a holiday. Till now, midscale hotels depended on the listing sites to drive online discovery. This was a viable solution, as there was less demand and low competition. But now, the scenario has changed, every day a new listing site is coming up making it very cumbersome for hotels to serve information to all the listing sites. Not only this, there is a high chance that users might not be able to find your hotel among the number of hotels already listed, which results in losing potential business opportunity. In such an environment, we cannot overemphasize how important it is for hoteliers to have their own digital presence and website. Here are the benefits your hotel business can reap by going digital on your own. Full control over the content: Does your hotel have rooms which offer the best view of the mountain range? Or is your hotel known for serving lip smacking local cuisine? Then, there is no better place than your website to talk about all these amazing things you have in store. By having your own website, you can ensure it reflects your hotel’s unique personality. Not only this you can also update location specific content and drive local traffic to your website. Create a unique visual experience: In the online world, visuals play an important role, as it is the only way users can get an idea about your hotel. By having your own website, you will have full control over the look and feel of the website. You can create a virtual tour of your hotel, upload unlimited pictures and even brand the website as per the colour scheme of your logo. This way you will increase credibility among the users. Market, don’t compete: With your own website, you do not have to compete with others. You can design your own marketing plan, execute it and enjoy the fruits of it. For example, there is a well-known music festival happening only at your location and has the potential to attract considerable number of tourists. If you own a website, you can get out of the number race and plan a marketing campaign that actually brings genuine leads and adds value to your business. Many midscale hoteliers have understood the value of having a website, but do not know how to build one. We at NowFloats are on a mission to help small business grow, as a part of this journey we launched Boost 360 for Hotels. A product designed keeping in mind all the requirements that a hotel business would need to design and market their website. Dedicated Booking Engine: The ultimate goal for having a website is to be able to attract customers and get bookings for your hotel. A dedicated booking engine is essential for guests to book rooms. The Boost 360 for Hotels comes with an in-built booking engine using which your customers can book a room in 3 simple steps. Step 1 - Search: The users can check the availability of rooms by keying in the check in and check out dates. They can also specify the number of rooms, Adults and children. Step 2 - Select: In this step the users can see the type of rooms that are available. There are 3 tabs provided where you can specify the room rates, room details and photos so that the user can make an informed choice. Step 3 - Complete: After the user has selected the room, the booking engine prompts to fill in basic details and then takes the user to the payment gateway where they can pay the amount. Location based discovery: Travel research usually begins with “Budget hotels in Delhi”, “Hotels with beach view in Goa”. It is evident that location-based searching is the most searched terms when it comes to hotels. So, when someone searches for rooms at a particular location the Boost location-based algorithm enables your website to be ranked higher in the search engine results. Thus, making sure your website is discoverable by the users. Instant live updates: Search engines love those websites that are updated regularly. This means if you post a blog, upload a picture about your hotel frequently there are high chances that your website will rank better. Boost app comes with an easy drag and drop tool, using which you can make live updates to your website anytime. Also, our auto SEO algorithm picks up the relevant keywords from your content, Thus Search Engine Optimization (SEO) is also taken care. Channel Manager: With the Boost app you can not only generate your own leads but also manage your hotel listing across multiple listing sites. Using our channel manager feature you can manage your hotel inventory listed in multiple places from a single point of control. This way you will not only have control over the inventory but also have an insight which channel is working best. Additionally, the channel manager can also help to connect your business internally, that is, if you have a website to manage hotel rooms as well as a site to book the banquet hall then, a channel manager can connect both the sites for better management. Places nearby: We have already iterated how important location-based discovery is for your hotel business, releasing this we went a step ahead and created a feature to link your hotel location with the locations of the various tourist attractions nearby. Yes! 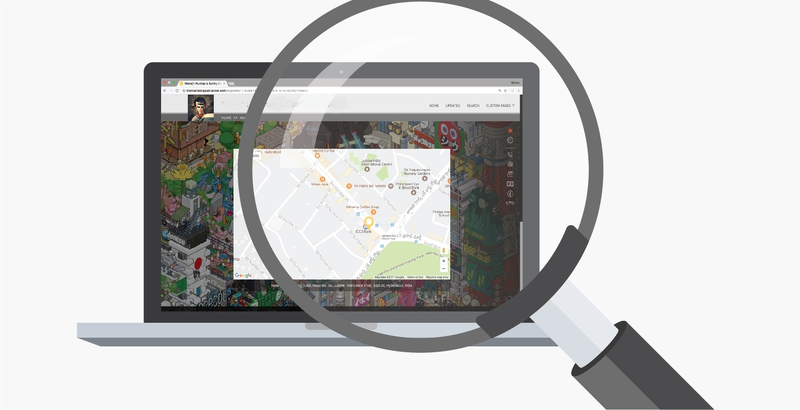 This feature automatically highlights the places nearby your hotel, so when users search for the nearby places online, your hotel’s website will also appear. Thus, increasing the chances of getting discovered. Real time analytics: The best part of building your website using Boost is, you can have access to precious data such as no. of visitors, no. of visits, latest sear queries etc., all of this data is real time and you can access data for last 3 months to last 30 days. Another useful feature is the real time call tracker, using which you can keep a track of all the enquiry calls that come in to your hotel website’s virtual mobile number (VMN). Power packed features all at one place: Along with the above features Boost business management suite is packed with features which help you to set up, manage and grow your business online. Business website: Using Boost app you can create a business website with 360-degree presence across multiple channels, all of this can be done with zero coding. Not only this, while creating a website the boost app automatically makes it mobile friendly. Social sharing: You can manage your Facebook business page as well as Twitter account through boost app. Also, you can also integrate the Google My Business Page to your website, making google know you better. To know more details, here is the perfect blog for you. Photos and offers: Using Boost app you can upload unlimited photos onto your website, our smart algorithms automatically compress the images and makes them suitable to load on your mobile as well. You can create and run tailor made offers throughout the year. Testimonials: Reviews are one of the top reasons for people to try a service or buy a product online. you can ask your customers to write reviews which can be published on the page or the reviews on your trip advisor page will reflect on your website. This will increase the credibility of your website. Get Boost 360 for Hotels, NOW! Boost 360 for Hotels is no doubt the best product for midscale as well as star hotels. So, give your hotel business the boost it deserves, click here to check sample sites and get a demo.